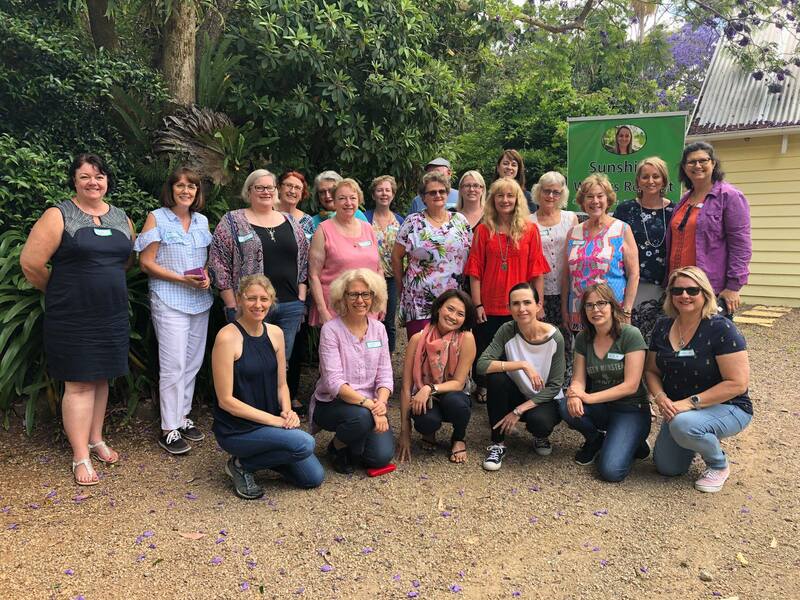 In this incredible, immersive writers retreat experience, participants enjoyed 3.5 days on our Sunshine Coast Hinterland property where they learnt from some of Australia's foremost authors, illustrators and publishing industry professionals. Share the post "Sunshine Writers Retreat 2018"
The Greenleaf Sunshine Writers retreat was once again held at Montville Country Cabins. This fantastic retreat is open to all aspiring, emerging and established authors. With more activities, more presenters, more publisher and agent assessment sessions 2018 was definitely a BIG event. In this incredible, immersive writers retreat experience, participants enjoyed 3.5 days on our Sunshine Coast Hinterland property where they learnt from some of Australia’s foremost authors, illustrators and publishing industry professionals. ​Retreat participants spent time networking, sharing, learning, soaking up the atmosphere, being inspired and motivated to create. The unique retreat program provides a perfect balance for learning and creating and has been specially developed to provide a ‘holistic’ approach to assist you in developing the various components of your stories over the 3.5 days. There is was three industry professionals on-site to conduct manuscript assessment sessions. The retreat also included networking dinners, yoga/meditation sessions and story circles that enabled participants to read their work out and gain feedback from others. We look forward to welcoming Greenleaf Press back with us in 2019!